He cut for a thunderous one-handed alley-oop dunk off a feed from Simmons with just over a minute left in the half. A four-point play by Redick got the lead up to 57-47 before Chicago’s Walt Lemon Jr. drove for a layup in the closing seconds. 76ers: Butler, who spent his first six seasons in Chicago, has missed three of the past four games. He was hurt in the Sixers’ win at Minnesota on March 30 when he missed an alley-oop lob from Simmons. … Greg Monroe had nine points in 10 minutes in his first game after signing with Philadelphia on Thursday. Bulls: G Zach LaVine (right knee tendinitis, bruised right thigh) indicated he will not play again this season, though the Bulls have not officially shut him down. “You have to evaluate the situation you’re in right now,” he said. “I think the risk versus reward of me playing right now is — you don’t want to hurt yourself further with two games left in the season.” LaVine missed his eighth game in a row Saturday. The Bulls host New York on Tuesday and wrap up the season at Philadelphia the following night. 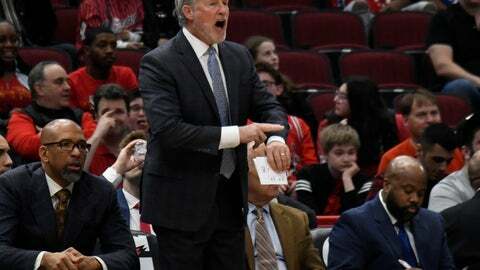 Boylen said Chicago has not made “a final decision that I can talk about” on LaVine, G Kris Dunn (strained back) or F Otto Porter Jr. (strained right rotator cuff). … Boylen said F Lauri Markkanen continues to wear a heart monitor and tests have been “unremarkable.” The 7-footer from Finland has started running, shooting and participating in non-contact parts of practice. The Bulls shut down Markkanen for the remainder of the season last week because of a rapid heart rate and fatigue.